An early experience of trauma amplifies whatever difficulties you encounter afterward. This makes it hard to “bounce back” from setbacks and disappointments. I approach any trauma in a gentle, safe way, so that it’s talked about—not re-experienced. You may be suffering from trauma and/or neglect and not be aware of it. Just because you didn’t grow up in a war zone doesn’t mean you didn’t suffer trauma. Just because you had a roof over your head and food on the table doesn’t mean you weren’t neglected. Chances are, your parents did the best they could with what they knew. But what they knew may have been flawed. They may have had tough circumstances to deal with that were beyond their control, from the immigrant experience to death of a child or spouse, from racism to major mental and/or physical illness, from economic hardship to natural disaster. And their struggles may have taken all of their attention, leaving not enough attention for you as a child. In other words, their best may not have been a great match-up with your needs as a child. Or they may have had untreated issues, such as depression, anxiety, substance abuse, and their own history of trauma and/or neglect that prevented them from adequately meeting your needs. There are custodial needs and emotional needs. The effects of trauma and/or neglect can be profound. a general lack of satisfaction in life. Trauma Treatment NYC: Don’t Relive It. Relieve It! In treating trauma, I take a gentle approach. 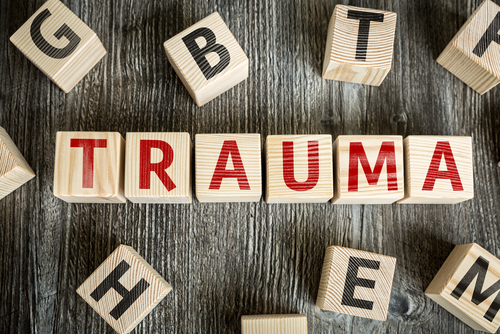 Whether you had a parent who lost his or her temper and scared you by yelling, or you were raped as a child or adult, or you grew up in a war zone, my view is that there is nothing to be gained and much to be lost by re-experiencing trauma in treatment. I take a slow and gentle approach as part of the overall treatment, after a safe and trusting therapeutic relationship has been established. Trauma distorts how you experience your current life. You may be on “red alert” in safe situations, or you may seek out danger—from extreme sports to volatile partners to cutting yourself to high-stakes business risks—in order to feel alive. You may feel bored by calm situations. Good, safe treatment can help you draw a line between between the trauma of the past and the life you live in the present, as well as the future you plan. If you’d like to learn more, reach out to me here.